Heeft u een vraag voor Pesona Beach Inn? 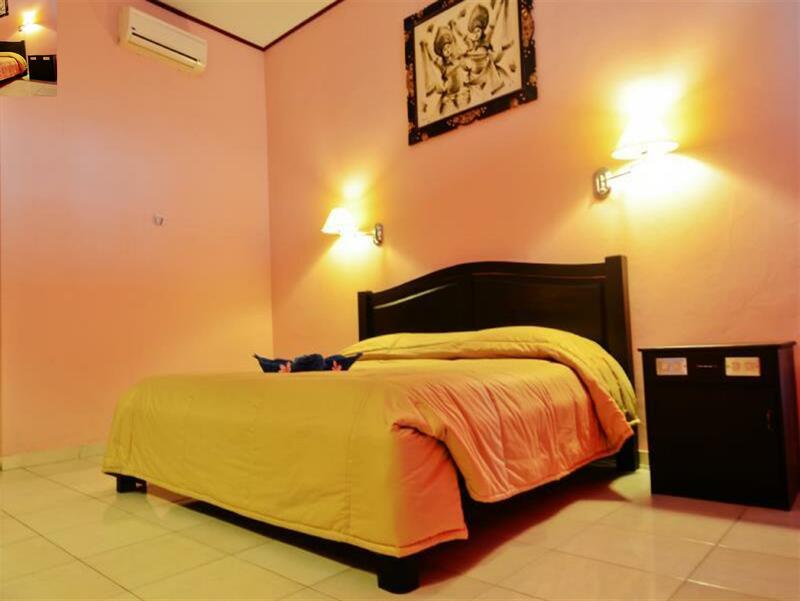 Het aanbieden van kwaliteitsaccommodatie in stranden, winkelen, nachtleven district in Bali is populair voor zowel zakelijke reizigers als toeristen. Vanuit hier kunnen gasten genieten van alles wat de levendige stad te bieden heeft. Dankzij de praktische ligging, biedt de accommodatie eenvoudig toegang tot alle belangrijke trekpleisters van de stad. Pesona Beach Inn biedt gasten superieure services, plus een breed scala aan voorzieningen, en is toegewijd om uw verblijf zo comfortabel mogelijk te maken. U kunt hier gebruikmaken van een selectie van topklasse voorzieningen, zoals dagelijkse schoonmaak, 24-uur receptie, wi-fi in openbare ruimtes, parkeerplaats, wasserij . Ervaar kamerfaciliteiten van hoge kwaliteit, inclusief kledingrek, spiegel, handdoeken, kledingkast, rookvrije kamers, om na een lange dag tot rust te komen. Of u nu van fitness houdt, of gewoon lekker wilt ontspannen na een drukke dag, het kan allemaal dankzij recreatieve voorzieningen zoals zwembad (buiten). Pesona Beach Inn is een uitgelezen keuze als u een kwaliteitsaccommodatie zoekt in Bali. 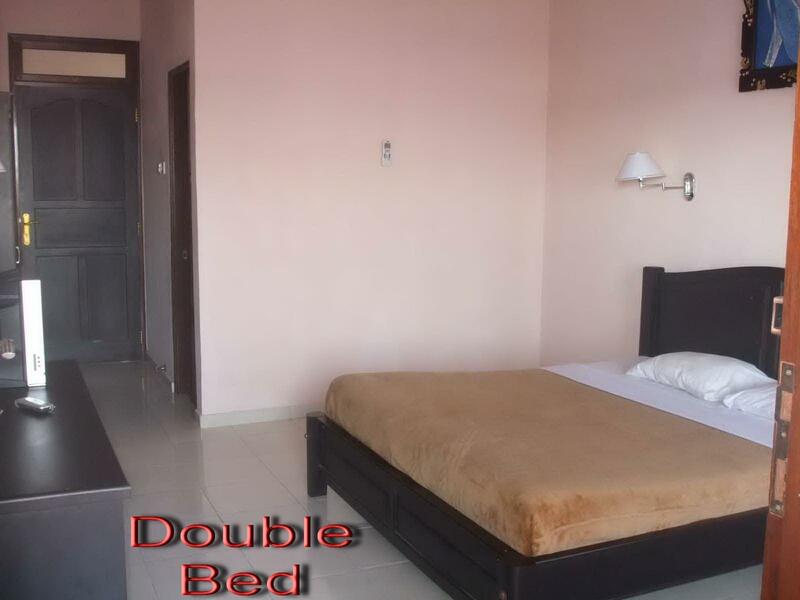 The place is a great option because its close to the beach, the markets and the major malls. The streets going to the hotel is very narrow so its not that accessible to cars. The hotel rooms are a bit outdated but spacious. I can come back to this place. If you're not too fancy, this is a great option for you. quiet location. closer to the beach. big rooms and an awesome pool. Now, if you want five star quality for less than $25.00 Australian a night then go elsewhere and pay $100.00 to $200.00 a night. The Pesona is great value at the price. I will tell you the good things first. The surrounds and the swimming pool are pristine. The rooms are clean, with clean linen and firm beds. The airconditioning works fine. There is hot water in the shower/bath. The staff are great, helpful and friendly. You get a free breakfast which (in my case) was a simple plain small omelette with buttered toast, and jam and Bali coffee. There is free internet which only works properly in the lobby. The Hotel is only about 200m from the beach on Poppies 1. The bad points. For some reason you have to ask for towels, toilet paper and glasses. (these are brought to you straight away - you also have to ask for new toilet rolls if they run out) The shower is interesting, the sink tap can be a bit dodgy, the TV is pretty ancient and there is no fridge. (We order a bar fridge on arrival which they bring in straight away and is $5.00 a day) My wife and I have stayed here several times over the last 3 years and are quite happy with the hotel. I was looking for an intermediate stop between Ubud and Airport to get a sense of Kuta beach. It was clean and secure enough to drop my backpack and take a shower after swimming. The room was hot (desktop fan mounted to the wall), no wifi in room and bed linen was a beige blanket so I was happy not having to sleep here. Location is great though. Beach is nearby, plenty of souvenir shops, bars and massage salons, and Poppies Restaurant further down the alley. Excellent value for money given my purpose, but would go for room with aircon. We stayed at Pesona for 3 nights in May 2016. We checked in at 2am and someone was awake to give us our key. The rooms are good for the price. You have to pay 5 dollars Aust to have a fridge. The room was about 35 dollars Aust. a night. Our room was right next to the very nice pool Breakfast was included in the price. It was plain but, good for the price. The Bali coffee is great but you get coffee whitener instead of milk. If you are on a budget, this is good value. If you want 5 star go and spend 200 dollars a night elsewhere. The staff were extremely friendly and helpful. The staff is very rude. We arrived at 22pm just to spend a night. The person of the staff was very unfriendly but he made a mistake and provided us with a better room with air con. When the staff changed early in the morning, she woke us up and wanted us to pay an extra charge of 200000RP. Then, the cleaner knocked at the door twice before the scheduled check out time. Moreover, the room wasn't equipped: no towels, no toilet paper... and the bed sheets were dirty. The only good thing is the location, but you can find many other better options at that price. So.. stay away! I was satisfied. Room was clean, hot shower, nice pool even if there is not much space around. Only two minus - our room didn't have a window so there was a little bad smell inside. We tried to let door open, when we were there but it didn't help. And horrible blanket! It was like a carpet. The room was quite clean, but it was super hot there, fan wasn't enough! !Wifi just in common area. Staff weren't to much helpful and were very bored. Swimming pool was perfect and clean. Location of hotel great. I came in around 11pm from the airport, the man at reception wasn't overly friendly nor rude. I had a superior private room. The fan may as well not been there, I slept on top of the fleece blanket because it was so hot. There is no wifi in the rooms, only the lobby. Check out is 12 and I had two housekeepers come to my room at 10am asking if I was checking out now so they could clean. It was an okay stay. The rooms kind of reeked of some weird smell and the lighting was dreary. The people were lovely, though. If you need a tour or a car to bring you around, you can ask for Iwan and it would become a lovely day. We stayed in Pesona Beach inn for one night and this was more than enough and the worst place we stayed in Kuta (we were in 3 other places before that). Besides being right in the middle of where everything is - bars, beach, restaurants, shopping street, the room was very hot with only small fan and windows that would open just a little bit so air wasn't getting in at all. THere is no wi-fi in the rooms, only in the common place near the reception. We stayed in much better places for less money. Near to hard rock cafe, shopping mall n restaurants. I think instead of offering a room with fan, broken cabinet & spooky ambience to travel & booking application, they'd better fix it so that it won't be disappoint guests. Good location, huge bed room, warm shower include breakfast. Good price.